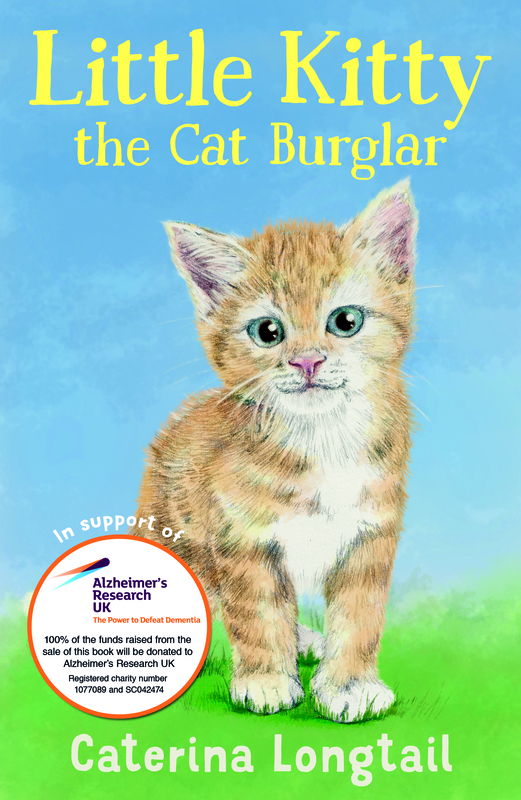 Four authors, Ann Bowyer, Jo Wilde, Lucille Rayner and Suzan Collins, gave their free time and joined others across the country to write a children’s book for charity, “Little Kitty the Cat Burglar.” All royalties go to Alzheimer’s Research UK. 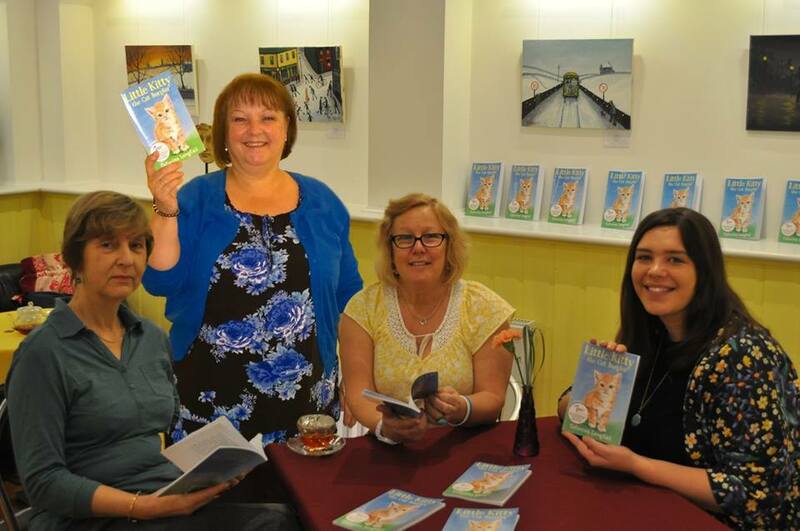 Authors (L-R) Ann Bowyer, Lucille Rayner and Suzan Collins met with Jessica Hiscocks, Regional Fundraising Officer last week. 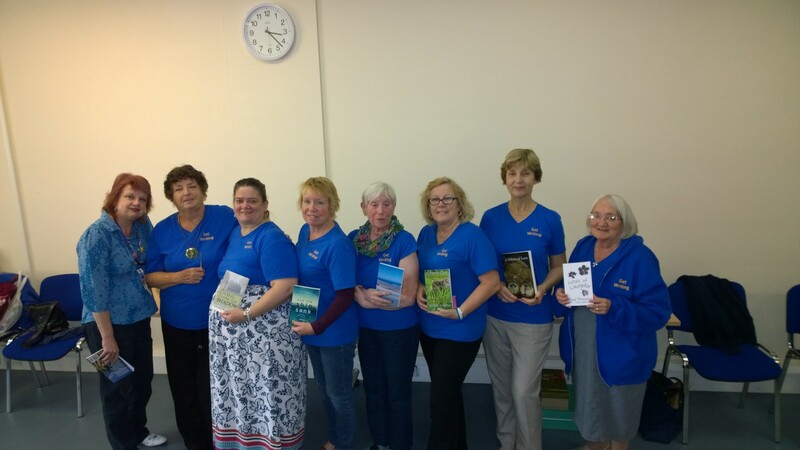 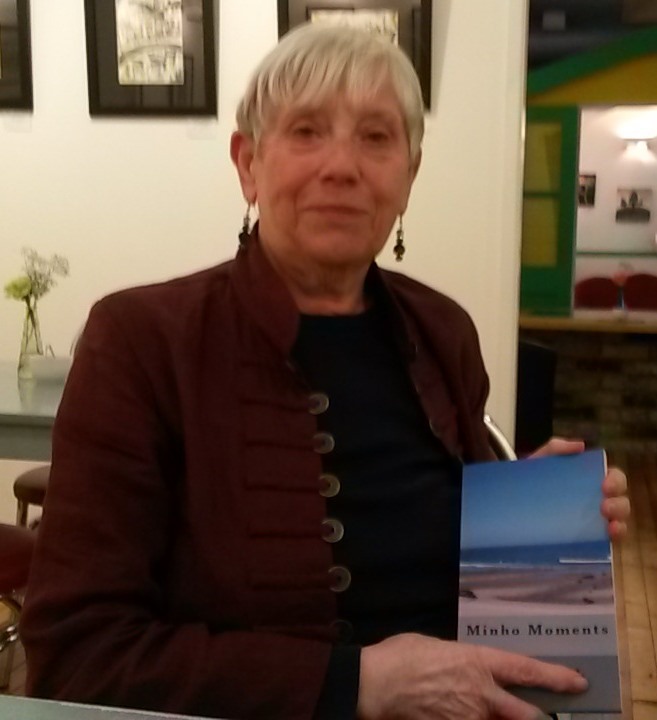 The Waveney Author Group was delighted to be part of the Lowestoft Library Literary Festival 2015. 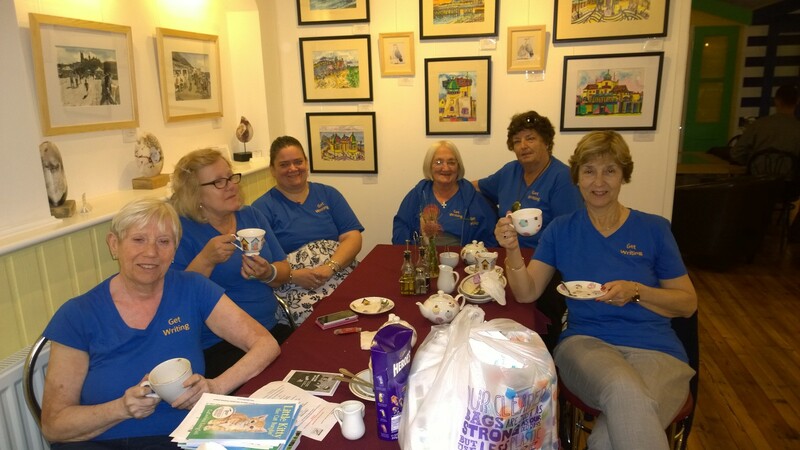 They lunched at the Coconut Loft Art Gallery before going on to Lowestoft Library. 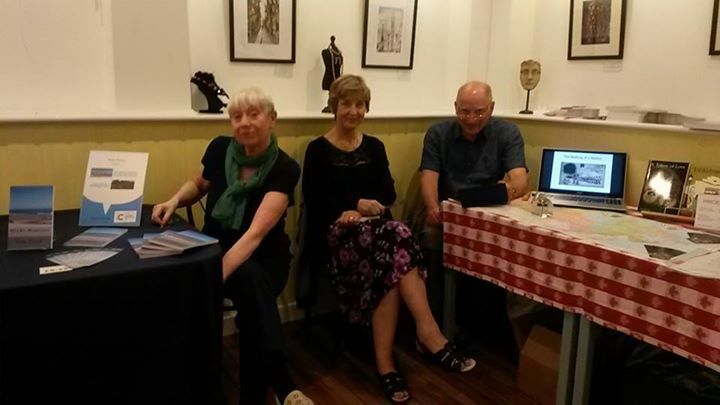 The authors took it in turns to talk about their writing, how they got published and their current writing. 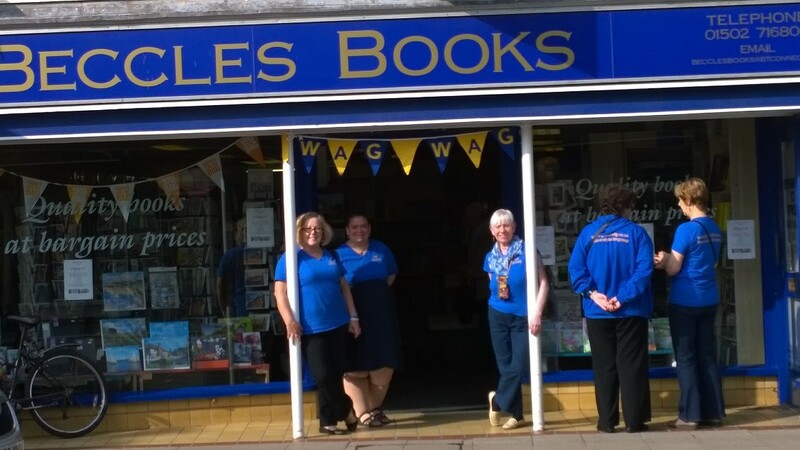 After a Q & A session and book signings they lined up for the group photo. 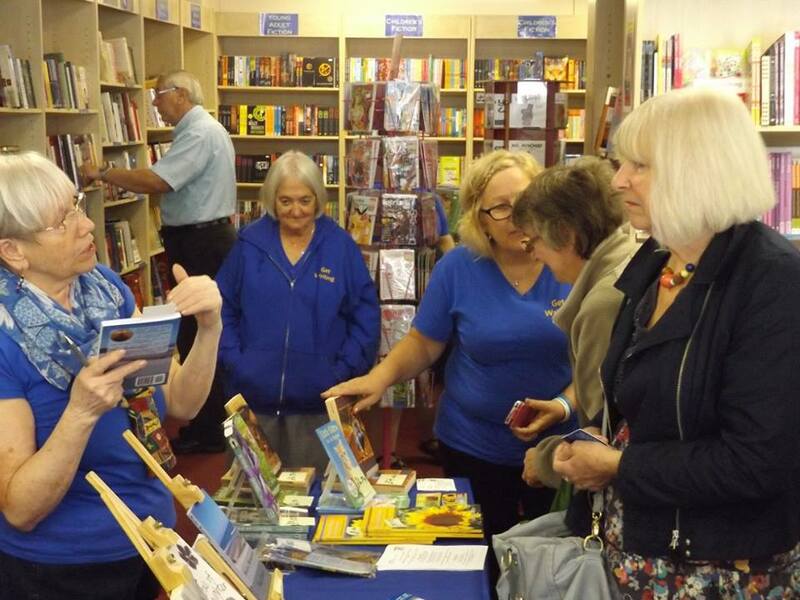 They have been invited back and look forward to visiting Lowestoft Library next year. 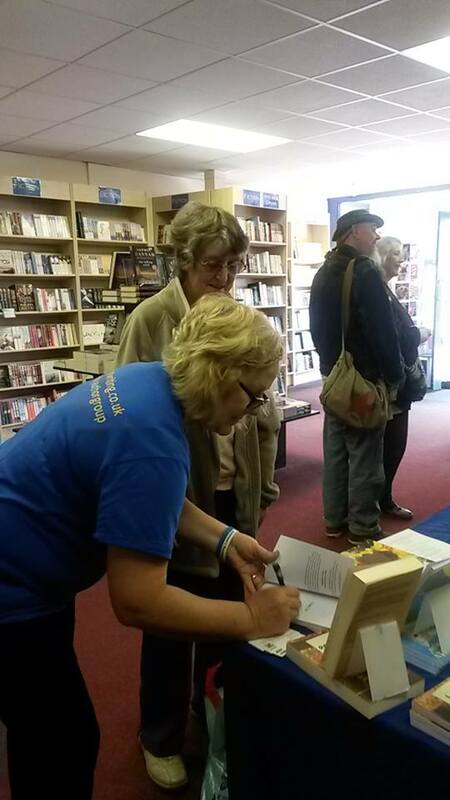 Enid Thwaites signing her new book: Petals of Laughter. 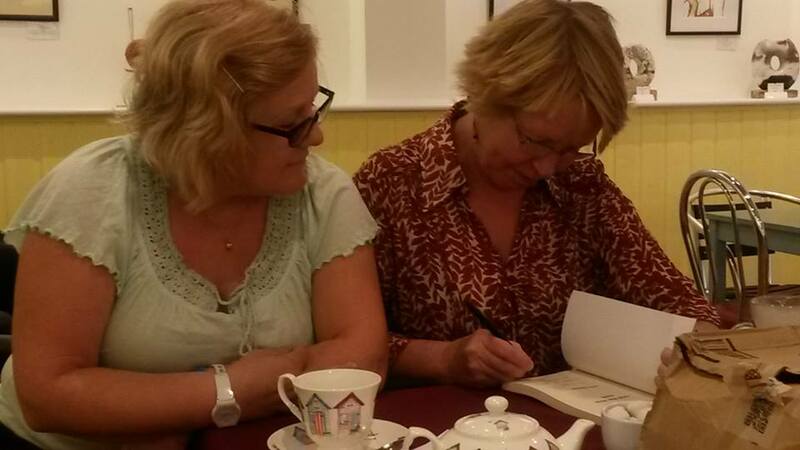 Helen Meneghello aka Helen Milligan signing a copy of her book for author Suzan Collins. 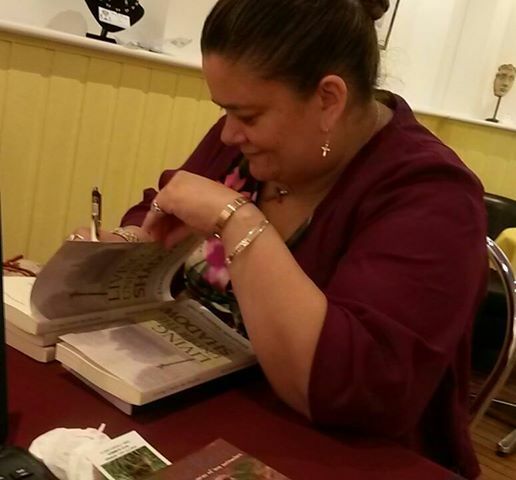 Helen Thwaites aka Elizabeth Manning-Ives signing her new book: Living Under The Shadow. 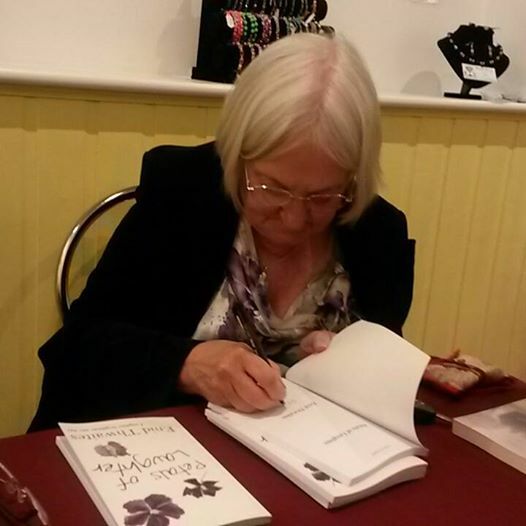 Pam Finch with her new book, Petals of Laughter. 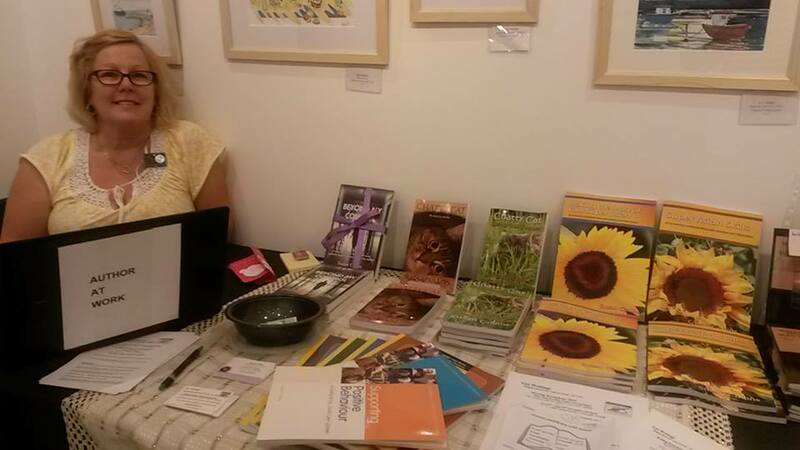 Suzan Collins showcasing her books. 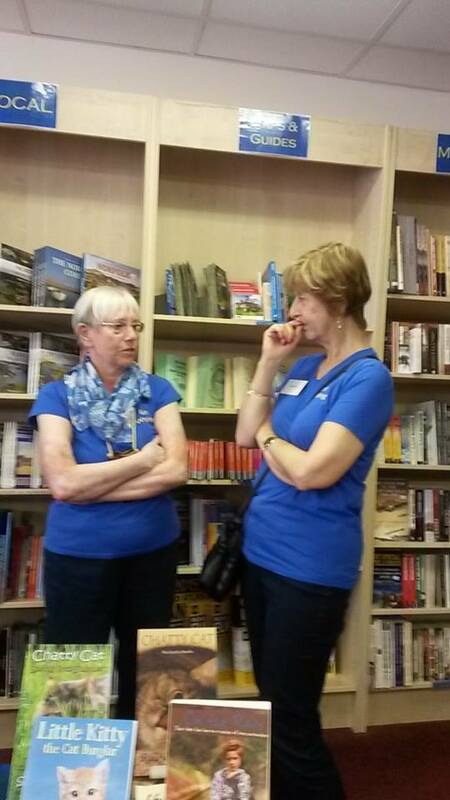 Pam Finch and Ann Bowyer (with Mr A the photographer in the corner). 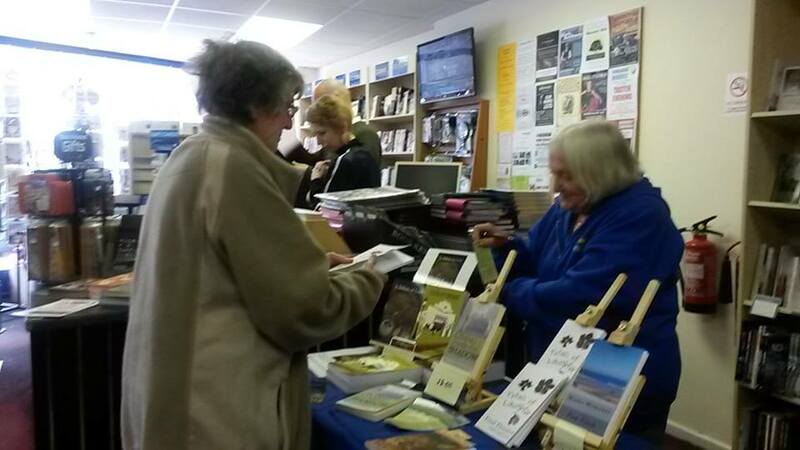 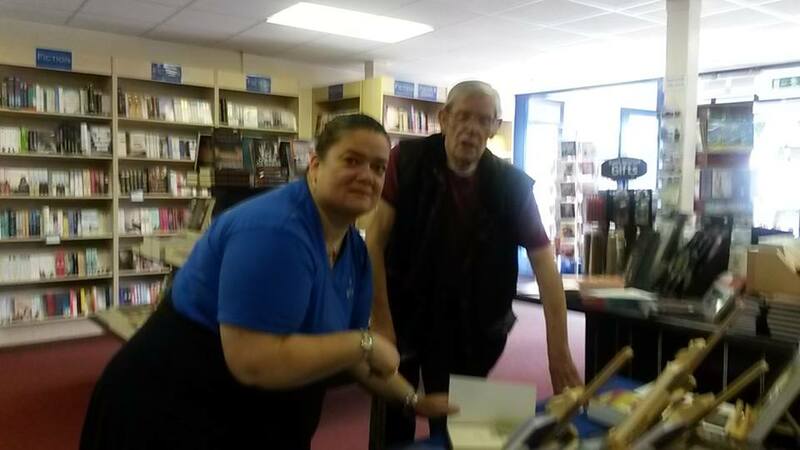 Poet Caroline Way (who writes fiction under pen name Anna Apsley) talking to local author Terry Tarbox. 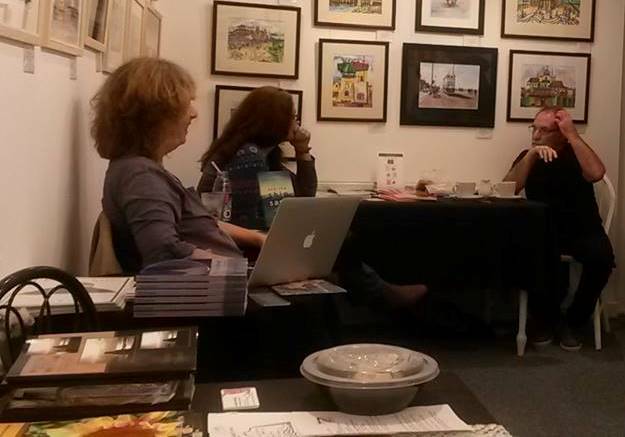 Some of The Waveney Author Group watching Gina cut the cake. 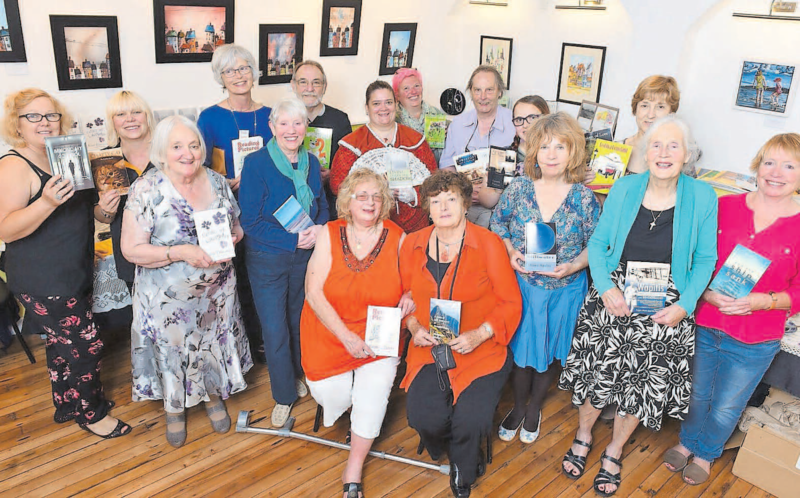 The Waveney Author Group join more authors for a group photograph inc Ian Robb, Joss Blakey, Patricia Peters and Hannah Precious. 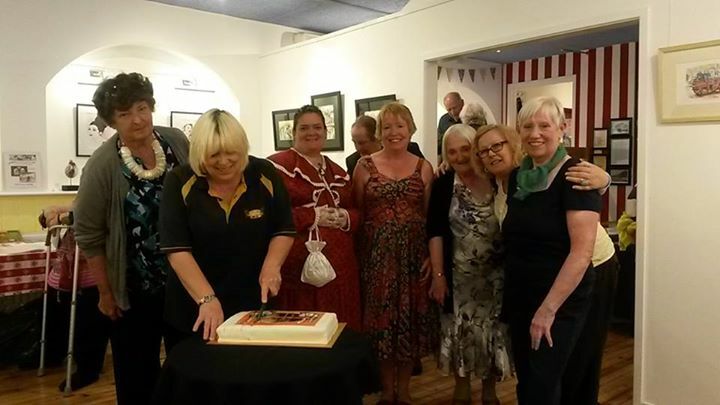 Also in the picture are ex mayor June Ford and co-owner of The Coconut Loft and host of the event, Gina Parkin.